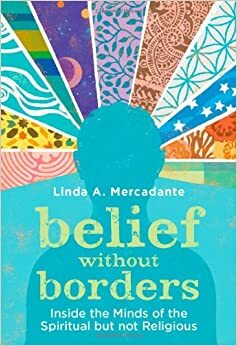 A few years ago, Linda Mercadante published a qualitative analysis of the “spiritual but not religious” or “nones” in her book Belief without Borders. That book is only getting more relevant and important. It’s not a diatribe, or a lament, or wishful thinking; it’s a serious qualitative study of the fastest growing “religion” in America. The other surprise is the quick rise of the unaffiliated. We’ve all known that the “nones” are rising, but a jump of 7% in 7 years is fast growth. There are almost as many nones as evangelical Christians; more nones than Catholics; and for every two mainline Christians, there are three nones. And if the results of this survey seem surprising or troubling, I can promise you the truth is even more so. There is a proven tendency in surveys for people to exaggerate religious affiliation. The truth is that the nones are far larger than this survey shows. Mercadante’s opening chapter is called “Religious Decline or Spiritual Revolution?”, and I think that says in a nutshell the two basic ways you can look at this poll. She then documents her focus group research with nones of every demographic, and then does a detailed analysis of “none” theology. Turns out that from a religious studies standpoint, protests notwithstanding, the none’s beliefs are coherent enough to form something like an alternative religion. Her book is well worth reading, and the most constructive analysis of the “nones” I’ve seen. The conclusion is hopeful, and I’ve quoted it below. But here’s the rub. Pew reports that the rise in nones is driven by millenials — no surprise there. And of all the generations that Mercadante surveys, she finds the millenials to be the least interested in spirituality, the least “seeking” of any generation. Mercadante wonders whether this will change as millenials age, but there is no way to tell.